I have been on the edge of my seat, waiting for the Natalie Cowl to be published in the latest issue of Interweave Crochet Accessories. I very proud of this design, and am glad I finally get to talk about it! It is the type of accessory that could really transform a simple sweater into an entirely new garment! 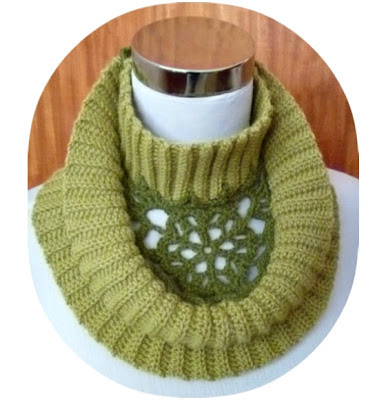 I originally named it the "Portrait Cowl", because the neckbands reminded me of an antique picture frame my parents have, and I thought they framed the motif so nicely. It is interesting how this design came to be. My original idea was to have 3 ribbed bands in steps. I cut the bands out of fabric, and played around with them on my dress form to see how they would look and to determine the best width for each band. I took the middle band off to make it smaller, and I noticed that I liked the look of two bands even better! I just needed to figure out a way to fill the space inbetween. After much thought, I decided that a motif would look the best. I made a paper pattern for the shape of the opening and then set to work to design a motif to fit the pattern. It was a bit of trial and error, but it came together much quicker than I expected it to. One of those meant to be moments! The construction of this cowl is unique because the motif is crocheted into the opening as you join the upper and lower neckbands together. The top photo, is one that I took of the cowl before sending it off to Interweave. In the magazine photos they pulled the second neckband down flat, so here is another way to wear it. You can also turn the band up at the back of the neck, as shown in the photo below of the original cowl that I submitted. 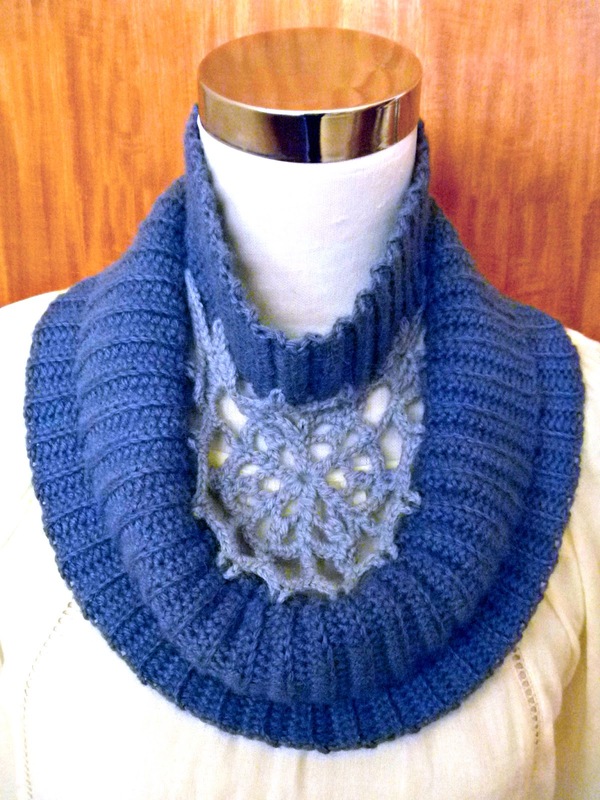 The original cowl has a dark motif with lighter color neckbands. I thought I would show you both light and dark combinations, so you can choose which you like best, if you decide to make the cowl...and I hope you will! This pattern is now available for download from the Interweave Store for $5.50. It's beautiful! Thanks for sharing your inspiration. Beautyful! I love that Its different from what u normally see! Happy Birthday to Me, a New Domain For the Blog!